I’m done with diet sodas and sugary bottled juices. Water is what I sip, but no matter how many lemon or cucumber slices you put it in, it can get a little boring. Sometimes you just feel like sipping a cold flavored beverage. I discovered Agua de Jamaica (prounounced Ha-mike-ah) at a neighborhood Mexican restaurant. It is delicious and refreshing and good for you. 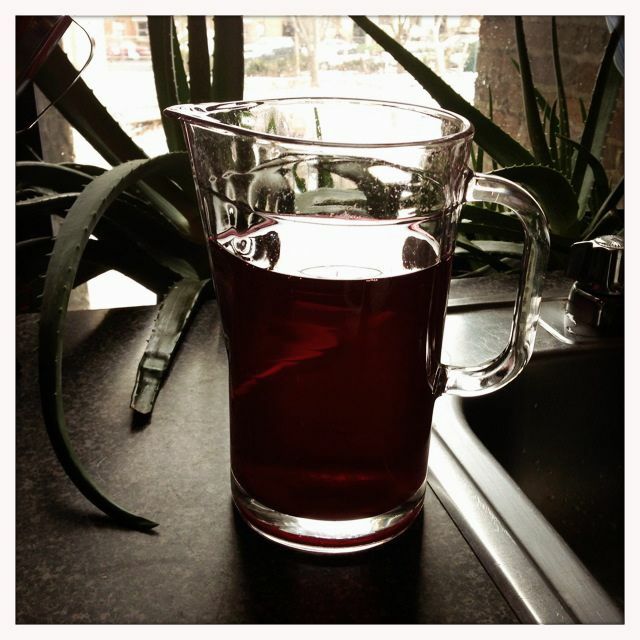 Hibiscus flower tea is full of antioxidants, vitamin C and lowers cholesterol and high blood pressure. It is usually served sweetened because it is a tart drink, but I’ve gotten used to drinking it straight without sugars. 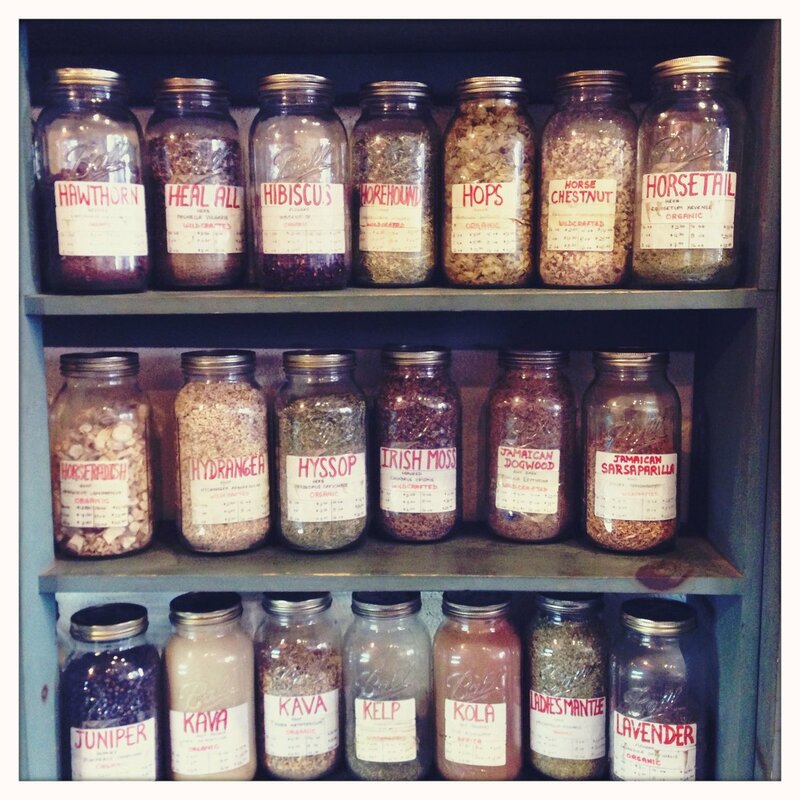 I buy the dried hibiscus flowers at my local herb shop Flower Power where all the herbs come from US organic farmers. 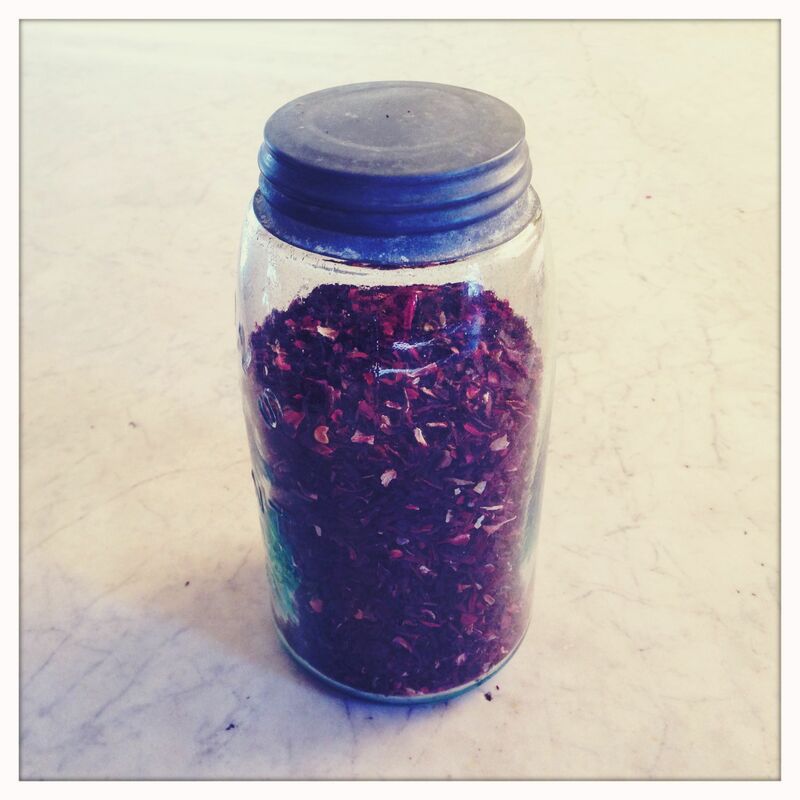 Add 1/2 cup of dried hibiscus flowers to 4 cups of water and boil for a few minutes. Turn off flame and let it steep for at least a half hour (the longer you steep it the darker it becomes – a beautiful magenta color). Strain it and add sweetner to taste and put it in the fridge. All photos were taken on my phone with the Hipstamatic app using Blanko film and the Hornbecker and the Libatique 73 lenses. 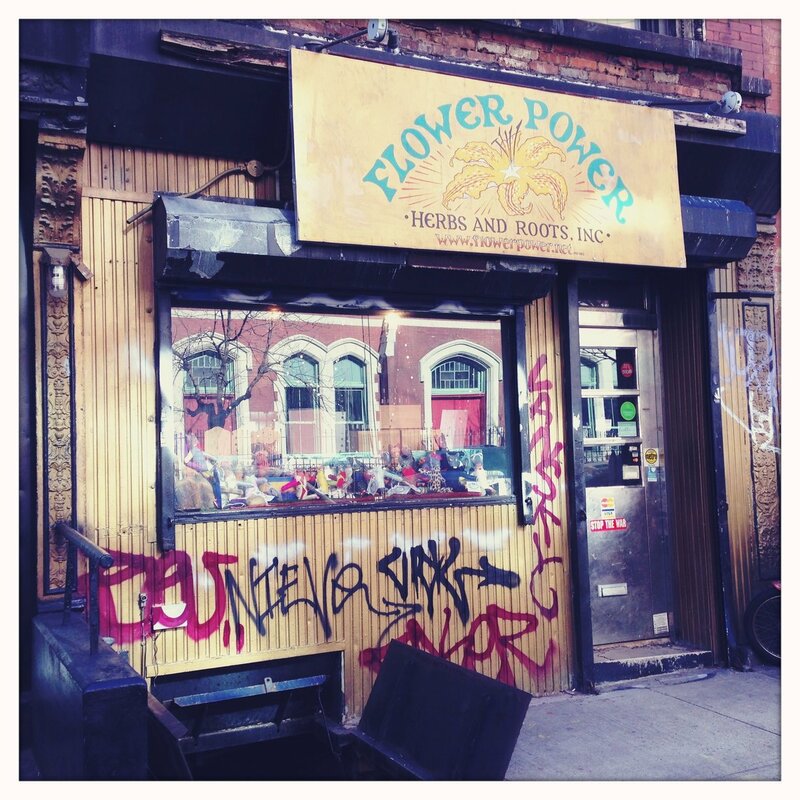 This entry was posted in food and recipes and tagged agua de jamaica, east village herbal shop, flower power herbs, health benefits of hibiscus flower tea, hibiscus flower tea by ileana. Bookmark the permalink. Sounds delicious! Must try and track some flowers down myself. I love the photograph of the shop – fab reflections in the window. Reminds me of quite a few buildings in my neighbourhood. What I like about the Hipstamatic app is that you don’t know what you are going to get until it is “developed” just like old point and shoot film cameras. can you make the tea using real hibiscus petals? Hi, Thanks for reading. I’m guessing it would not work with fresh petals. The dried petals are a dark magenta and when you steep them the liquid is almost inky. Envisioning fresh petals, I don’t think it would steep with the concentrated color and flavor of the dried – but I could be wrong, I’ve never tried it (not many hibiscus plants in NYC, its too cold).